Now in April, 2019, there’s no need to look for alternatives, similar sites or battle with shipping and payments. 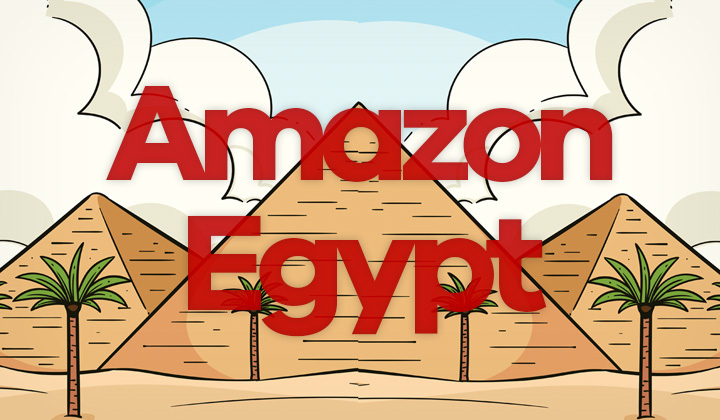 Amazon is in Egypt — both in English & Arabic! The old times when you had to use expensive package forwarding services or try to find global shipping support, manually convert USD currency to Egyptian pounds, as well as do without the convenience of cash on delivery, and cashU payments.. They are gone with the introduction of the Amazon store in Egypt. Amazon goes with a different name in Egypt, known as Souq. The Dubai headquartered company, Souq, is now well known as the largest e-commerce site in Arabic countries and it’s popular branch in Egypt. Everything started in 2005, when it’s founder Ronaldo Mechor, a Syrian businessman opened store. While previously the website was known as the best Amazon alternative in Egypt, now it’s the official equivalent as Amazon acquired the company in 2017. Since then, the site has seen massive growth and popularity. Now they host a seller portal similar to Amazon, that increased availability and pushed down pricing. Tip! Egyptian Souq has a “deals of the day” page, where you can find the best savings with free shipping — be sure to check on that as well..! Just like on Amazon.com, shipping fees depend on a lot of factors and you won’t see the final price until you proceed to checkout your shopping basket. Souq uses courier services for fast and safe delivery to your doorstep. The delivery service is available from Saturday to Thursday, so only Fridays are excluded. And the time of delivery is at working hours only, from 9:00 to 18:00. There is a small, additional fee if you choose cash on delivery. Just like many of the other Amazon equivalents, there is choice between languages. In this case, the selection is either Arabic or English. And this will change the language of both the bilingual interface and even product titles, descriptions, etc. You will see a small flag of Egypt at the top left corner, or the header menu. Clicking on it there will be a language selection available. Finalize with Save & Continue. You may directly access the English language version of the site here. There are several shopping categories on the Egyptian version of Amazon, these are most of the main ones which also include smaller sub-categories. Home Supplies & Kitchen, Outdoor & Garden, Wearable Technology Devices, Electronics, Fragrances & Perfumes, Optics & Eyewear, Furniture, Home Appliances, Accessories & Jewelry, Furniture & Home Decor, Fitness & Sports, Baby, Collectables & Art, Accessories & Apparel, Kitchen Appliances, Beverages & Grocery, Books, Gaming, Movies & Music, Networking & Computers, Home Improvements & Tools, Bath & Bed, Beauty, Cameras, Accessories & Vehicle Parts, Toys, Supplies & Office Products, Supplies & Pet Food, Tablets & Mobile Phones. Souq has a 15day money back guarantee. Meaning that you can return the item if it’s still in the original packaging. Also, if the product is counterfeit, damaged or differs from the product page you can return the item within this timeframe and also request back the amount used for shipping costs both ways. There are some exceptions such as products clearly marked “non-returnable” or various item categories such as; Underwear, Earrings, Fragrances, Music albums, Software, Books, Lingerie, Socks, Hosiery, Swimwear. As Souq is the official equivalent version of Amazon in Egypt, those used to shopping on any of their websites such as: amazon.cn, amazon.in, amazon.com.sg, amazon.co.uk, amazon.com, amazon.au, amazon.de, etc. will find the system easy to use. Thus, ever since the acquisition by the Amazon Corporation, it has been very difficult for alternative websites in Egypt to compete with them. Very similar functions are the seller market, how pricing change often to stay on the edge of competitiveness, the checkout process where you have to go until the very end before you can see the final price of shipping, etc. All in all, Souq is a very convenient site for Amazon-shopping in the country. Comments, inquiries or anything to say about Amazon in Egypt? Which version do you use and how, let us know! Thank you for visiting and please, share if possible. David. For your information, this blog is supported by the occasional affiliate link placed at various locations within the posts, reviews and other content. Thank you!